Note: In an effort to keep this page as up-to-date as possible, I am in the process of removing dead links and other links that appear to no longer point to Wikka installations. If your link has been removed, and you believe it was removed in error, please contact me to discuss. 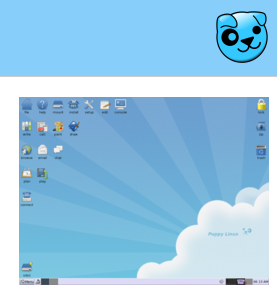 Wikka powers the knowledge base of this popular Linux distribution (content in English). WikkaWiki has been chosen by hundreds of users, projects, companies and organizations to run their websites. It currently powers websites in 37 languages, including: Bosnian (Bosanski), Catalan (Català), Chinese Simplified (简体中文), Chinese Traditional (繁體中文), Croatian (Hrvatski), Czech (Česky), Danish (Dansk), Dutch (Nederlands), English, Esperanto, Estonian (Eesti), Finnish (Suomea), French (Français), Galician (Galego), German (Deutsch), Greek (Ελληνικά), Hebrew (עברית), Hungarian (Magyarul), Indonesian (Bahasa Indonesia), Italian (Italiano), Japanese (日本語), Korean (한국어), Lithuanian (Lietuvių), Malagasy, Norwegian (Norsk), Polish (Polski), Portuguese (Português), Brazilian Portuguese (Português, Brasil), Russian (Русский), Slovak (Slovenská), Spanish (Español), Sundanese (Basa Sunda), Swedish (Svenska), Thai (ไทย), Turkish (Türkçe), Urdu (اردو), Vietnamese (Tiếng Việt). Below is a list of Wikka-powered websites in alphabetical order. Most of them are retrieved from search engines or from the referrer-list of this server. Many more wikka sites not listed in this page are access-restricted intranets of companies and organizations. Sites marked with a (c) have a custom layout; sites with a (l) have a localized interface. Feel free to add your own Wikka site!